Impruneta is a small town in the province of Florence, famous for the traditional clay working, for the city festivities in mid-October, but also for the Marian shrine. Buondelmonti square is very nice with its arcades: the square until 1500 was widely used for parties and celebrations in the city. Impruneta is a major tourist resort of the Chianti region. 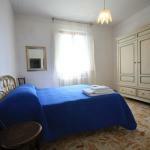 Thanks to the presence of so many tourists, Impruneta boasts several hotels. Select travel dates and find all available hotels in Impruneta, check out guests reviews and locate properties on Impruneta city maps, book your favourite accommodation with no pre-payment. All rates are in Euros and inclusive of all taxes. 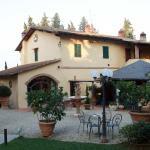 Agriturismo Vecchio Borgo Di Inalbi is immersed in the Tuscan countryside, just outside the centre of Impruneta. Florence is only 13 km away and Siena can be reached within an hour's drive. 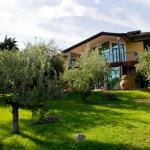 The Poggio del Golf Residence & Club is located in the Tuscan countryside, among hills and vineyards. 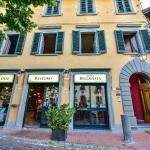 It is 15 km from Florence, easily accessible by a bus which stops a few steps away from the hotel.